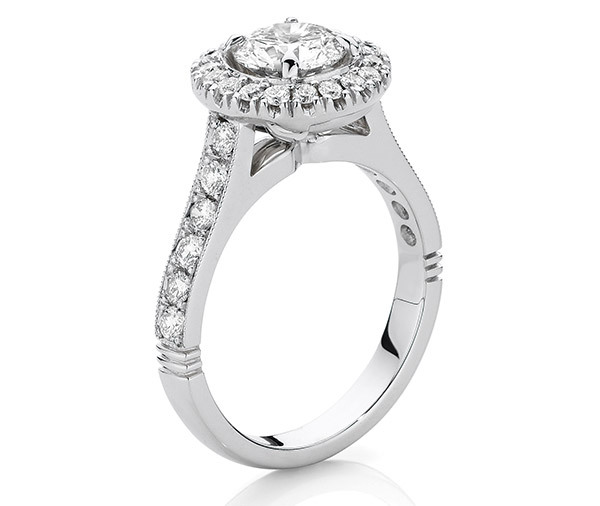 Round cluster features a round brilliant cut diamond in a raised fine 4 claw setting, surrounded by a halo of micro claw set round brilliant cut diamonds. Upswept shoulders are thread and grainset with small round brilliant cut diamonds and millegrained edges with an engraved line feature on the band. 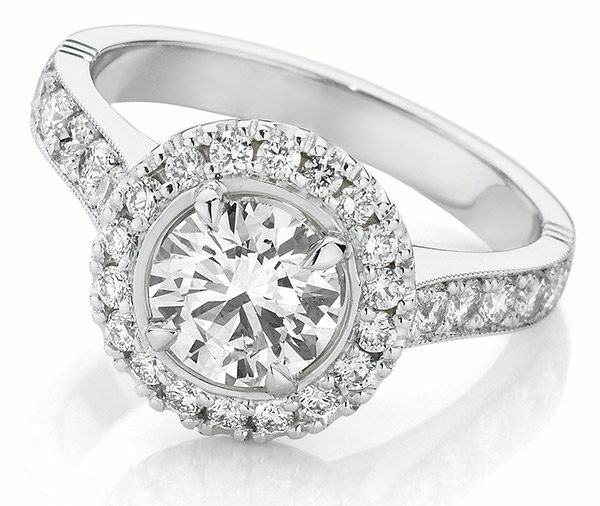 Model image features centre 1.15ct cushion cut diamond. Available in platinum, 18ct white, yellow or rose gold or any other precious metal combination.